At Troo Health Care you are 100% guaranteed to receive the best quality UK manufactured health products, the cheapest prices and hassle free fast delivery. Although cheap to buy, all Troo Health nutrition supplements are manufactured in the UK to GMP code of practice and BS:EN 9001:2000 quality assurance certification. GMP provides independent verification and certification that the basic manufacturing practices and prerequisites necessary for product quality and safety are being followed. This goes above and beyond what is required, ensuring we can guarantee you receive only the highest quality products. 4 delicious smoothie recipes to help you to detox and lose weight healthily. At Troo Health Care we 100% GUARANTEE you will receive the best quality health products, the cheapest prices and hassle free fast delivery. When you order health supplements and other health products from Troo Health you can do so with complete peace of mind. If you are not completely satisfied with any supplements or other health products you receive, you are invited to return it for a no questions asked refund – even if you have opened and tested the product. You can’t say fairer than that! Your support is truly appreciated and without you we would not exist. 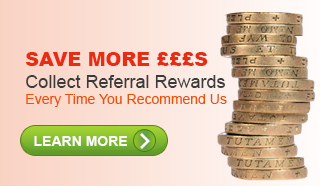 That is why you will be rewarded with every order by generous loyalty point and referral reward schemes. Meanwhile our team of health and nutrition experts are available for you to contact any time. We are dedicated to ensure you get everything you need quickly and at your convenience. Troo Health Care supplements are manufactured in the UK to GMP code of practice and ISO 9001 quality assurance certification. These manufacturing procedures ensure that the basic manufacturing practices and prerequisites necessary for product quality and safety are being followed. This goes above and beyond what is required so that we can guarantee you receive consistently high quality health products.